If landlords do their research, they are going to find that they have many resources available to them. One that they will discover is the letting agent. The task at hand now is to choose the right one. Professional letting agents should be members of appropriate organisations applicable to their trade. Ideally, they should be members of at least one of the organisations that support the National Approved Letting Scheme. A qualified letting agent should have no problems providing you with their credentials. In fact, you should not even have to ask for these. 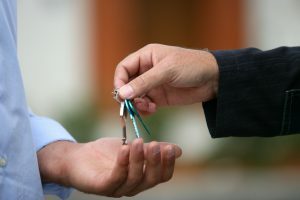 A Letting Agent has the responsibility of finding quality tenants and looking after the legalities that are involved in the letting of the property. There are some Letting Agents who also take on the responsibilities of a management agent. This is something that has to be decided before any agreement is made with the Letting Agent. If they are going to take on the dual role, then they also have to have the credentials that support their capabilities of being a management agent as well. There are different responsibilities that the Letting Agent can take on. However, it will depend on what they are qualified for. They need to have proper protection in place for themselves. They should have professional indemnity insurance. Be cautious with assigning the responsibility of tenant deposit protection. You must confirm that the deposit is protected. As the landlord, you are the one ultimately responsible for this. Your Letting Agent should be prepared to enter into a written contract. This contract is going to outline the responsibilities of you as the landlord. As well as the responsibilities of the Letting Agent. Once signed you are both bound by it. The contract should explicitly outline the duties and expectation of the Letting Agent.